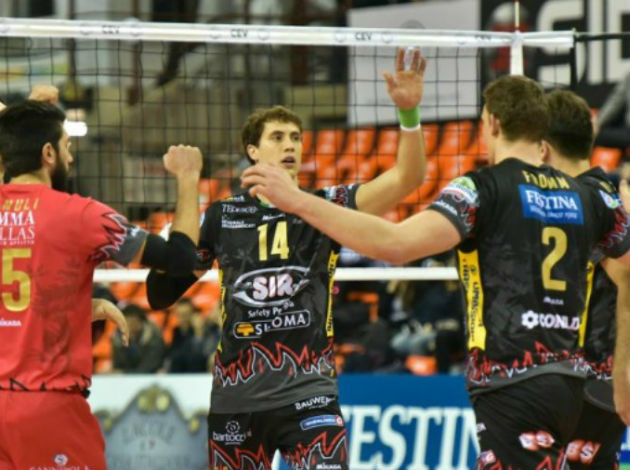 Despite winning the 2019 CEV Men’s Volleyball Champions League quarter-final first leg against Chaumont VB 52 HM, Sir Colussi Sicoma Perugia head coach Lorenzo Bernardi was far from being satisfied with the way his players conducted the game. “This game had two faces. Until 12-19 in the second set, there was only one team on the court. Then we have completely pulled the plug when it comes to paying attention and gave Chaumont the opportunity to return and go on until 2-1. Then in the fourth set, we resumed playing our volleyball, as well as in the first part of the tie-break. At that moment we had another fall and it is clear that then the opponent took advantage of it. We cannot afford to play superficially. If we do that we are a normal team, but if we play as we know we are a very strong team. It always depends a lot on us”, Bernardi stated after the match in France. 2 Comments about "CL M: Bernardi: “We can’t afford to play superficially”"
With all due respect to the efforts of Chaumont and Dinamo Moscow, both Lube and Perugia cannot afford to go the distance in these 1/4 matches of the Champions League. Perugia doesn't have the depth and Lube's age will become a factor if this continues in preparation for the Superlegga Playoffs. They need to win clean and take care of business. With both matches going 5 this will really put some pressure on them for the return match. Bernadi is 100% right here and that is what he is referring to here. Bernadi is correct. Perugia and I might add Lube cannot afford to exude so much time and energy to win these games. Its all going to add up. Bravo Dinamo and Chaumont for their efforts.